Stalker is a forbidding word. So is racist, which is even creepier. And Panther is no exception, of course. One writer is nevertheless in a buoyant mood with these three: stalker, racist and panther. 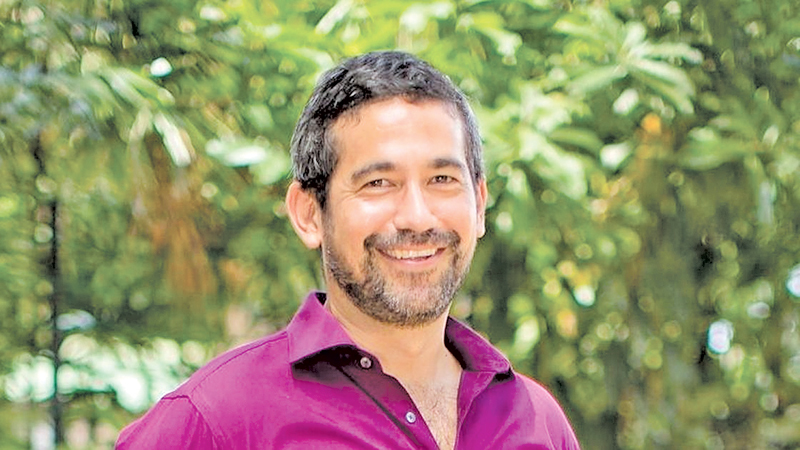 That is none other than Chhimi Tendu-La - half English, half Tibetan - who grew up in Hong Kong, London, Delhi and finally Colombo, where he now lives with his wife, Samantha, and daughter, Tara. The Amazing Racist, his first novel, was released in January 2015 by Hachette India. His second novel, Panther, was released by HarperCollins India early in 2015. 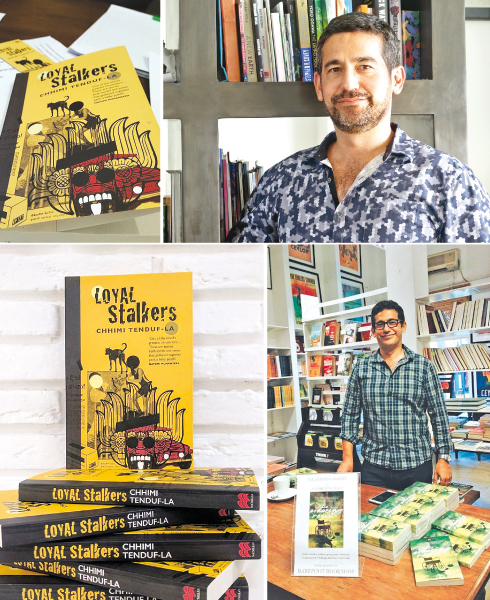 And his latest, Loyal Stalkers is now available in the leading bookshops. Whatever it is, Chhimi Tenduf-La is yet to bear the brunt of any such criticism. How can a racist be amazing? How can a stalker be loyal? How can a panther roam alone without instilling fear in the surrounding? They are but a creepy species, best let alone to their own devices. But Tenduf-La has to bank on them to enter Sri Lanka’s literary hedgerow. Although much feeble in strength to exist, the literature industry of this country makes a commendable attempt to reach some destination. Not without debates and conflicts though. The local writers share a conflict of interest with the expatriate writers. The latter have no firm footing to write about the country, the local critiques point out. First, most such writers, though born in the country, had stayed away from the country for so long and their idea about the landscape is far from reality. Second, they do not belong to the roots of the cultural landscape. All the same both groups struggle for a placement in the world book market. That was a costly enterprise, though Tenduf-La chose to see the sunny side. He will receive feedback for his novel. Following his experience in authoring Amazing Racist and Panther, Tenduf-La decided to write to an Indian agent. The Google results directed him to Kanishka Gupta who turned out to be the best in India. When he was happy with it, Kanishka sent it out to many publishers. Three of them made offers as well as counter offers. When Tenduf-La sent Loyal Stalkers, he secured a few more offers, much better than for his first two books. Pan Macmillan India made him work hard on the edits. Two different expert editors worked through drafts. After releasing in South Asia they will try to sell the rights on to publishing houses in the West. But people really do have to get others to read their work and point them in the right direction. Tenduf-La also entered a site called YouWriteOn which was superb for that. You put up between 5000-7000 words of your writing and other aspiring writers critique it in return for your views on their books. 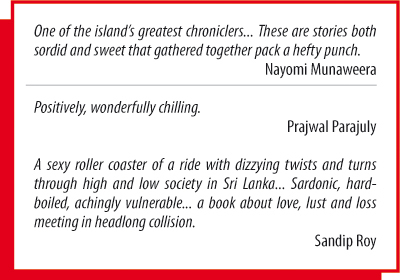 They have a chart and if you get into the top five, then a publisher gives feedback too which happened with me. “The best thing about Loyal Stalkers is its library of people. Wonderfully crafted characters that walk in singularly with their stories and then reappear perhaps as a face in the crowd gathered around a road accident, a person working out on the next treadmill or a guy who walks in with his son to buy a swanky birthday treat he can hardly afford,” writes Jhinuk Sen to www.catchnews.com. Like other Asian countries, there is a lot that happens here that is not spoken about. This is what the first story that you explore in Loyal Stalkers. Setting off with a racist, continuing on with a panther and stalkers what will be Tenduf-La’s next destination? For the time being, be sternly advised: the protagonist of Loyal Stalkers is scary – yes, pretty much, albeit with an adorable characteristic or two. That was simply because such characterisation is Tenduf-La’s home turf. “We all make mistakes; we all have reasons for the bad things we may have done and in this book, I hope one story may explain the characters’ mistakes in another. Sure, none of us has broken into a house and slept under someone’s bed without them knowing, but the guy is also incredibly loyal, loving and protective,” Tenduf-La remarks. In a private room sheltered from the Colombo riots, a seventeen-year-old girl gives birth to a hatechild. At a modern city gym, an introverted fitness instructor obsesses over his unattainable client. Inside an untended guest-house room, an adolescent cricket champ is caught unawares by his coach’s violent fury. By a rain-drenched gravesite, a special-needs teacher confides in a stranger.